Enviromate is a platform which allows you to buy and sell surplus building materials and has recently seen an influx of DIY enthusiasts who have discovered supplies they can buy for cut-down ‘trade’ prices as well as making cash selling surplus materials from their own projects. 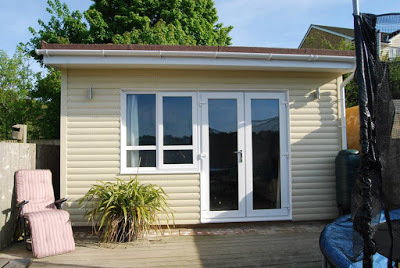 “My focus for the build was essentially to finish the project for as little cost as possible,” Paul told Shedworking. 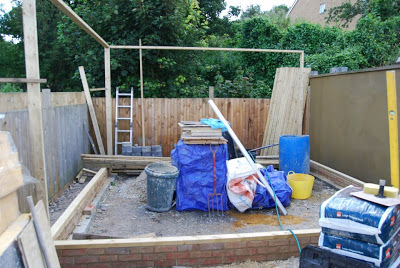 “I wanted to completely self-build the office space in my garden, but I didn’t want to pay prices at DIY stores for brand new materials. I ended up trawling through various other marketplaces and ‘For Sale and Wanted’ sites before I came across Enviromate."